You can have a full head of hair at 70 or be bald with a full production of testosterone. Scalp hair on a man over 70 is usually perfumed and coiffed at the Salon des Gentilhommes du Gentilhommes. I qualify for the 12 hairs and under discount at Great Clips. No charge, I just tip. Buddha belly, lololol, the visual is great!!! Lololol, Mike~< Your on a roll...Love your humor in word choice...stupendileosis it is...!! Is this not your thread?? You did say it and posted a thread on it~~Yes?? Maybe he was remembering it?? Ahhhh You're remembering an old post I posted of what leading scientists were saying and warning us of. You actually think that my old post from the beginning of October had anything to do with what his present reply to me, who even thinks like that? First off, I never said it, I simply posted what other scientists thought, to begin a discussion. It was about changing things now to prevent more future climatic disasters. Like what a doctor does when he runs tests, that show you're headed for a heart attack, and what changes you can make to change it. But you anti- fixing global warming people, never get it, you keep reading oil mongers propaganda. Don't believe me, look at the priorities from either side, there's the sign. Mikey hasn't a clue who I follow, I literally don't "follow" anyone and assuming I follow Cortez, or any of the others he mentioned, is a wrong assumption. Yep! America is finally getting back on track to lead the world in prosperity. 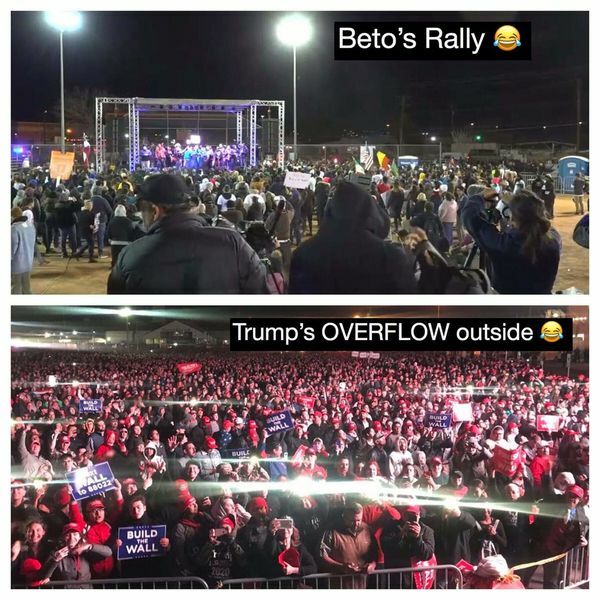 This has the Dems/liberals worried. I'm on a beach in Florida. First sunny day in weeks. It's beautiful. I do enjoy the play here on OPP. And I do have my favorites, just like in real life. FYI each of these countries were put into this condition by their form of government which was from dictatorships. Socialism is grossly misunderstood through ignorance. Providing for public-social programs does not equate to being entrenched into socialism. Know the difference and don't fear the word. Trump is already campaigning 24/7, where are the other Republican candidates? Are they afraid to come out and play? Or is the GOP too afraid to split their ticket? I've already seen some very promising Republicans who will be running. I wonder if they are getting threatening phone calls, and instructed not to run, I mean Trump does work like a gangster. LOL Trump may want to pace himself. 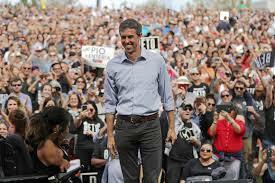 Beto is campaigning for a good reason, most people around the country don't know her, what is Trump's excuse, shouldn't he be working? What is your take on 'the New Green Deal'? Republicans know a winner when they have one. Democrats can't find a winner.